I actually like Browny but not convinced he can get us through the season. I’m sceptical of Jody having much influence this year so Brown and Smack will become critical along with the forgotten man Stewart. He is more than a luxury. Other teams wish they had a Brown type player. Yep I agree he played a good game. I still don’t believe he is the type of player that will take us to the next level. Lots of people ready to shoot people down after a player has one good game which was preceded by many average to rubbish games. I would love nothing better to be wrong but after so many years it’s fair to say he shown us his best as he did on Saturday. Unfortunately his lack consistency doesn’t match his heart. Unfortunately his lack consistency doesn’t match his heart. Do you even watch the footy? He was very consistent for the back half of last season. He’s a good reliable player. 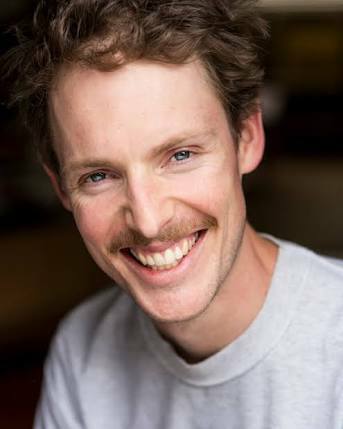 The mo makes him look a lot like Kiwi comedian Guy montgomery. I’m kinda with you - he’s been around long enough to have proven his consistency, if he had it. I may be wrong, and I hope I am. I’m not going to abuse him after he plays badly, though. He was always played back. I wasn’t a fan of him then either. As a forward he’s much better. The only thing I don’t agree with is the implication that he (or any one single player) is holding the side/list back. It’s true he’s not a guy to lift a side (week in, week out) - but every side, no matter how good, still has average players. It seems to be a forum trope that lose a few games = cut decent mid career players = instant success. That’s quite clearly not how it works. Great performance from him on the weekend. Definitely wasn’t surprised by it given his form last year. He’s now a consistently ‘good’ AFL player. But at the end of the day, a fit and firing McKernan & Daniher are selected ahead of him given their superior contested marking and X-factor. It’s just the sad but healthy truth about having very good depth. All Brown can do to hold his spot is do his job well and kick goals. He was very consistent in the back half of last season. Yep. With McKernan out for a while, and the uncertainty about Z.Clarke’s spot, I’m sure Browny has a big role to play in the season ahead. Mitch Brown is the perfect list player. Not on huge coin, but can reliably do a job, and is arguable best 22. We are very very lucky to have him. Do I watch the footy ? Mate I have been to every game this year inc. both JLT games and the GWS game. I’ve travelled to more interstate games than I should have over the years as well. I dare say I’ve lost count of how many EFC games I’ve been to. I believe I am more than qualified and capable to make a remark on a player that’s been in the system since 2008 and has played 58 games in almost 11 years of football. That doesn’t scream consistency to me. And that’s the point I’m trying to make. Yes he has heart and he has a crack, but we are not going to make it to the next level with Brown, Myers, Baguley, and maybe Ambrose on the list. They may well be perfectly suitable as top up or depth players but come on - really? I’ve tried to make this point on a number of occasions now with out red and black blinkers on, would Brown or any of the other players above get a game at another club? if you want to make a point then go ahead but don’t make absurd comments on someone for making a point based on how they perceive a player. Like I said I hope I’m proven wrong as I genuinely like to see players that have a crack especially those with limited ability. I’m not upset about fringe players at all, every club needs depth our just as much if not more than others. I am making the point that Brown is just an average player, - depth at best. If Mckernan and JD were fit would he be playing? He played a good game one of a few only in his 11 year, and 58 game career of AFL football. He’s not a star and he’s certainly not best 22 as others have alluded to. In the late Jack Dyers words he’s just a good ordinary player. That’s all, and if we had a full list he wouldn’t be playing each week. That said I enjoyed his game on the weekend, and hope that he backs it up next week and for the rest of the year. But his career to date suggests otherwise. The reason i asked (admittedly in a smart ■■■ way, apologies), is because if you look at his output since he was moved forward last year, he’s been very consistent and actually good. And yes, personally i believe he would definitely get a game elsewhere. There’s some hangover feelings on Blitz from when brown used to be played in defence. I didn’t rate him then either. As a CHF i definitely rate him. He’d be captain-coach down at Carlton. What other club would list, let alone play Brown, Myers, Ambrose, Baguley, there are others but that’ll do for now. And the answer is: plenty of clubs would list those guys. Most clubs (like us) would have no more than a couple of them in their best 22, but would pick them when they had a few injuries. If Mckernan … were fit would he be playing? I like McKernan, but he’s been as in and out as Brown. McKernan debuted 2009 and has managed 65 games. Brown has 57 games since 2011. They are both excellent when they play well. They play differently and offer different options. Brown vs McKernan coms down to who’s in best form and what we need as a team.